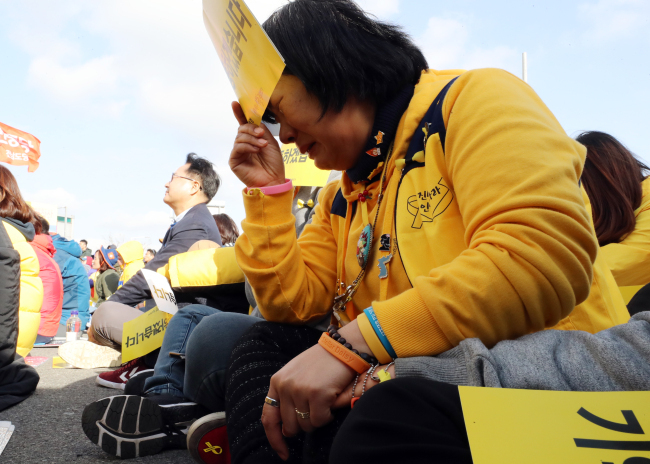 Koreans around the country are mourning the fourth anniversary of the Sewol Ferry sinking, which claimed the lives of over 300 passengers, many of them high school students, on April 16, 2014. 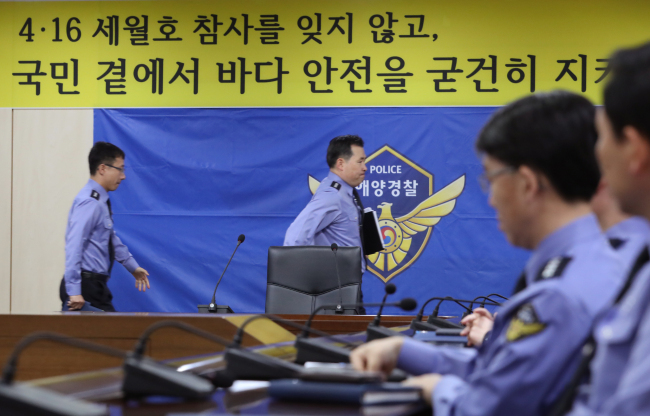 Officials enter the conference room at the Korea Coast Guard headquarters, located at the Central Government Complex in Sejong on Monday. 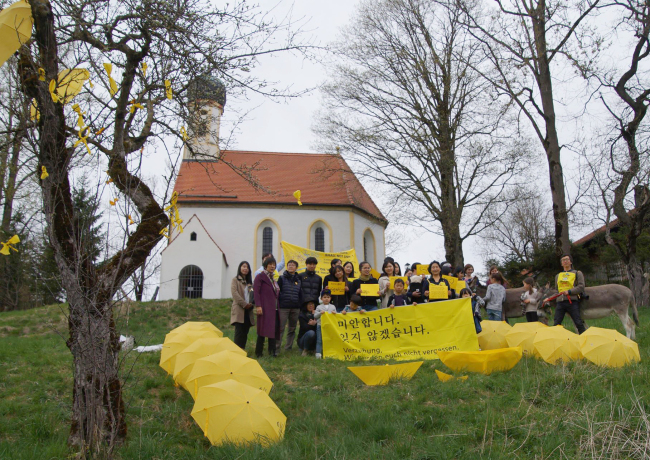 Korean expats hold a memorial for victims of the ferry incident, which capsized four years ago, at a village near Munich, Germany on Sunday, local time. 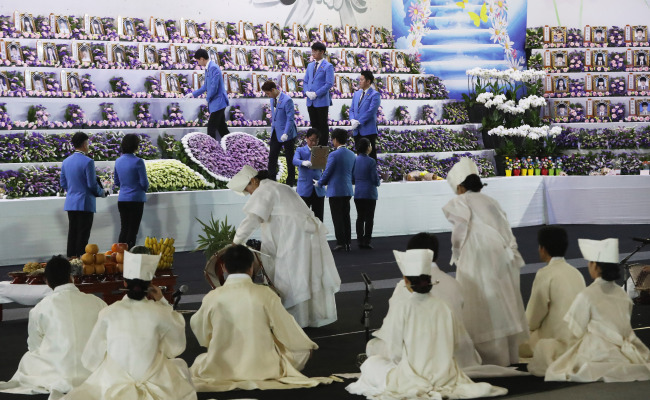 Funeral officiants carry portraits of Sewol Ferry victims from the memorial altar to the ceremonial hall, both located in Ansan, Gyeonggi Province, on Monday morning. 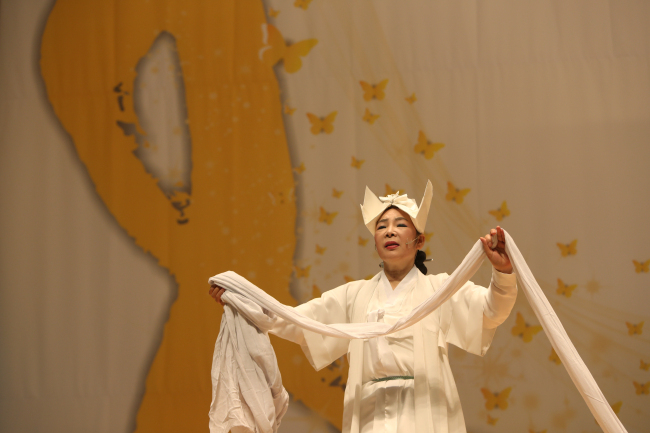 A shaman ceremony takes place to commemorate the souls of the Sewol Ferry victims at the Jindo Gymnasium on Jindo Island on Monday. 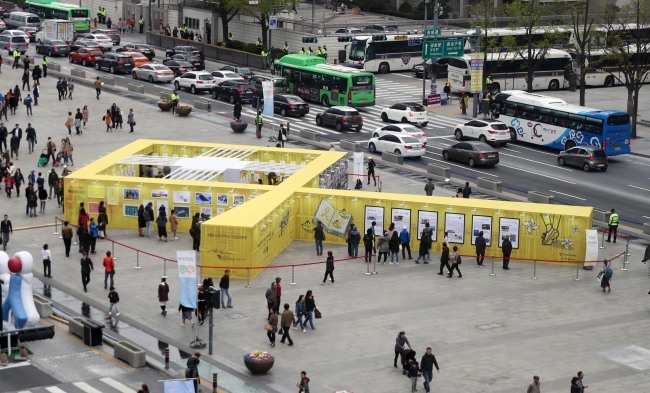 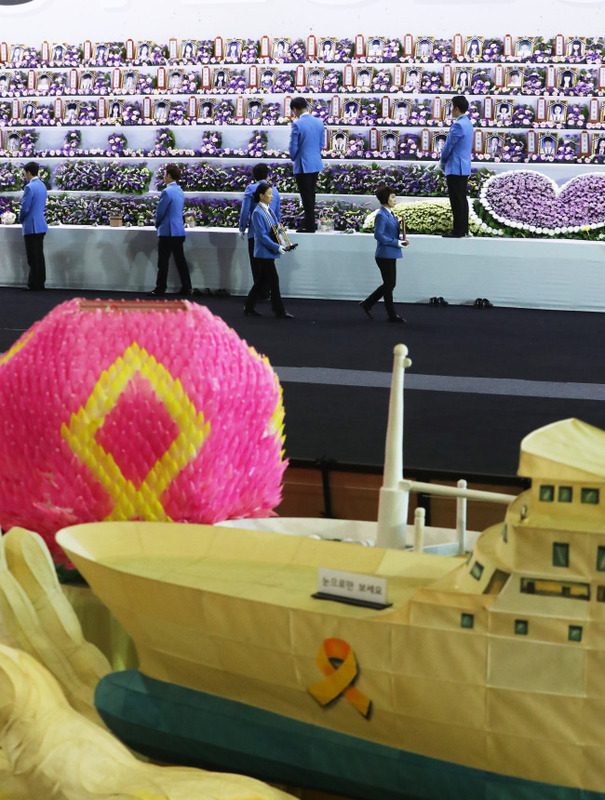 An exhibition in memory of the Danwon High School students and teachers lost to the Sewol Ferry sinking takes place at Seoul’s Gwanghwamun Square on Sunday, a day before the fourth anniversary of the tragic event that occurred on April 16, 2014. 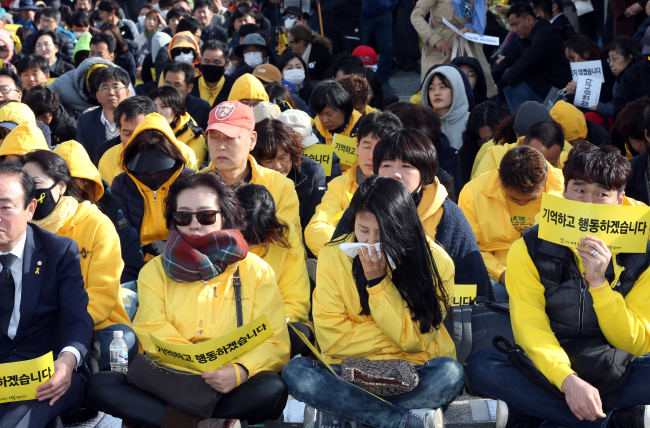 The surviving families of the victims shed tears at a ceremony at the Mokpo Port in South Jeolla Province on Monday. 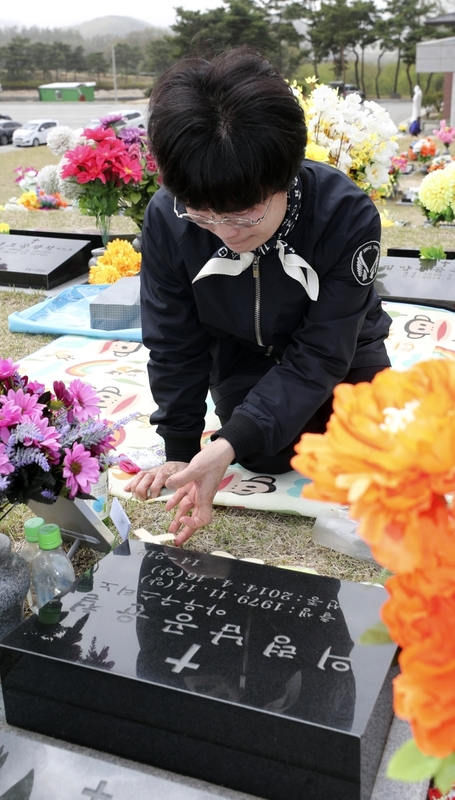 The mother of Danwon High School teacher Nam Yun-cheol, who died in the Sewol Ferry sinking, visits his grave located in Cheongju, North Chungcheong Province on Sunday.